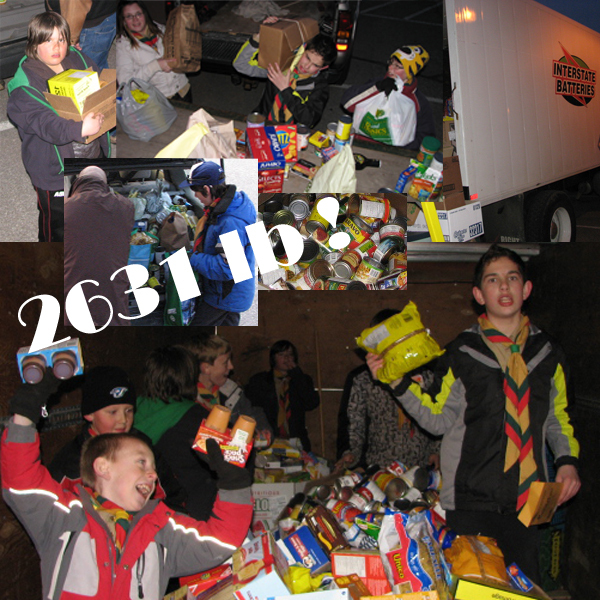 We collected over a ton – way over a ton! 2631 lbs. to be exact! Thanks to the Cub Scouts and their parents that were out to help us. Thanks to the Scouts and parents that helped! Thanks to the entire families that were out to help. Thanks to the Rosemount community for their contributions. You are great! Thanks to Interstate Batteries for the use of their truck.